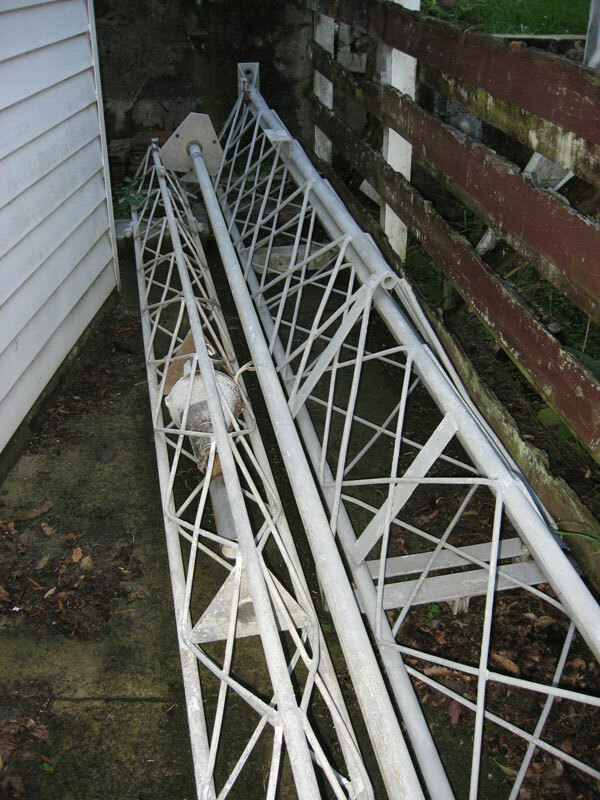 This is an old tilt-over crank-up tower that I hope to install one day at ZL1NZ. It is very ruggedly built of galvanised steel (see photos below). According to the drawings, it also came in a 50-foot version, so clearly it was commercially produced. I have an engineer’s design certificate for it, issued on 21/11/1975 when it was being installed in Onetangi on Waiheke Island. Also a consent from Rodney District Council from 8/11/1993 for its installation in Whangaparaoa. But unfortunately no drawings of the installation. In particular, I need drawings or specifications for the foundation. 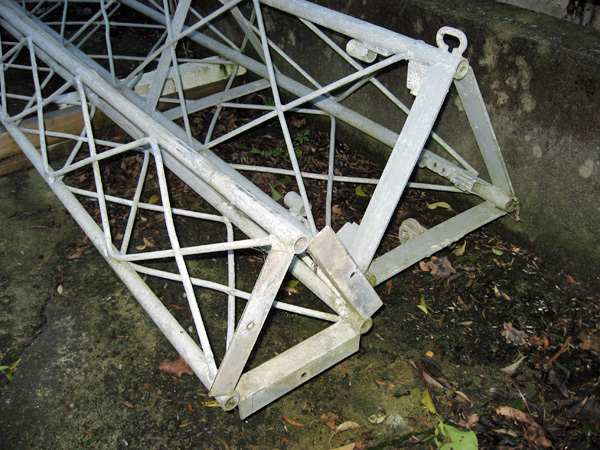 Lower portions of the top and bottom sections (with mast in between) showing the tilt-over arrangement. Upper portions of the top and bottom sections.